Brent had a pretty good day Steelhead fishing today, he even let me catch a few. 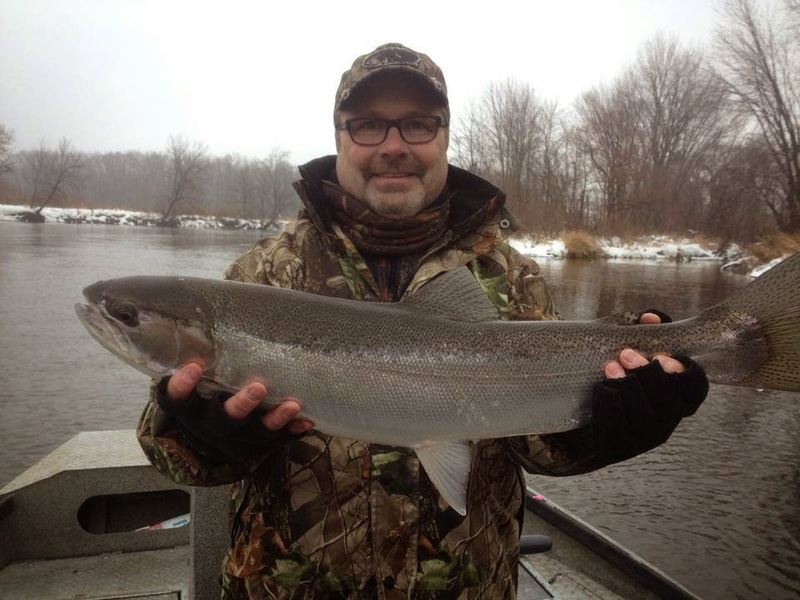 Steelhead fishing has been great for us this fall. Fish numbers are good throughout the system but you will find dead spots from day to day. There are plenty of chrome fish on the move still with water temp in the mid 40's. We had all kinds of weather today starting with a nice cool morning turning into a near whiteout snow storm before the sun poked out all before 1:00. Ed and Fritz had great fishing with a non stop bite thru it all. Here are a couple pictures during the snow today and some more to play catch up since my last post. Steelhead fishing was great again today. Diane and Jeff put a bunch of fish in the net in a short period of time. Here are a couple of their fish from today. Steelhead fishing was very good today. Pictured are two spoiled anglers. 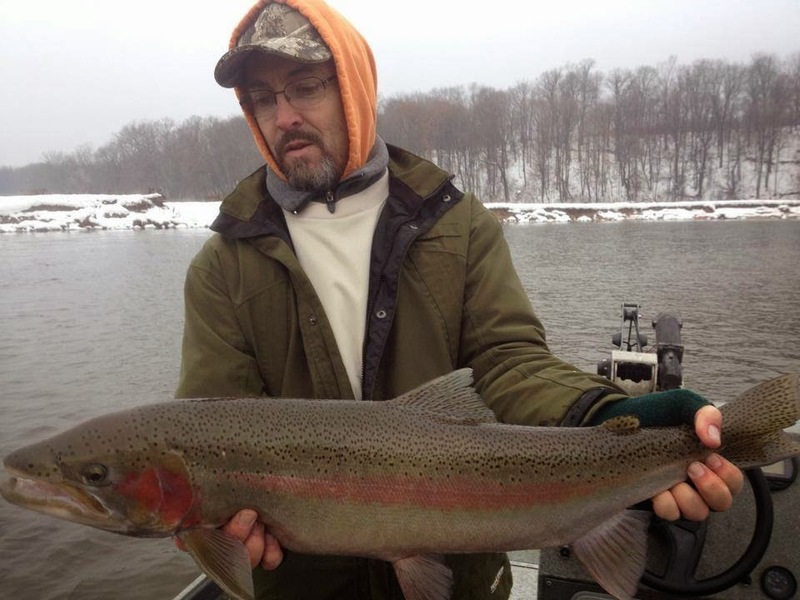 Steelhead fishing remains good. Water level is low and clear, temp is in the mid to high 40's. There is a mix of bright chrome and colored up fish spread throughout the system. Fishing for Steelhead should stay good through November and into December with the slow steady trickle of fish we are getting. November is full but I do have a few December openings for anyone interested. Here are a few pictures of fish caught since my last post.